Nissan has raised the MSRP on the Nissan GT-R to go along with a slight horsepower bump, and some other upgrades that will make the already potent car quicker. The new pricing is effective March 21,2009. Just 4 more days of shopping. output to 485 horsepower. Front-seat and side curtain airbags are now standard on both models. 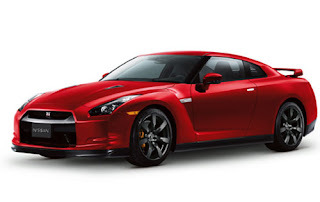 The 2010 GT-R also gets an enhanced suspension with redesigned shocks, new wheel finishes and new transmission control module programming "which optimizes clutch engagement for improved acceleration from a standing start with the vehicle dynamic control on," Nissan said in a statement. 2010 GT-R will start at $81,790, including a $1,000 destination charge. The uplevel 2010 GT-R Premium will start at $84,040, including shipping. Faster, safer, better, and more expensive.